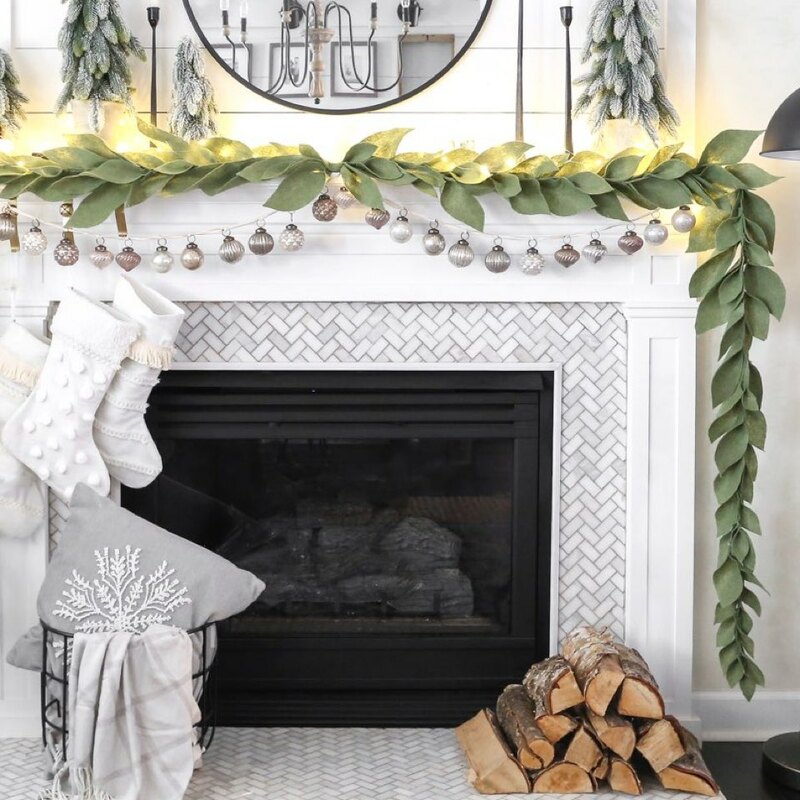 Create this simple easy felt leaf garland to add something fun and whimsical to your Christmas decor. All you need is felt and a hot glue gun. 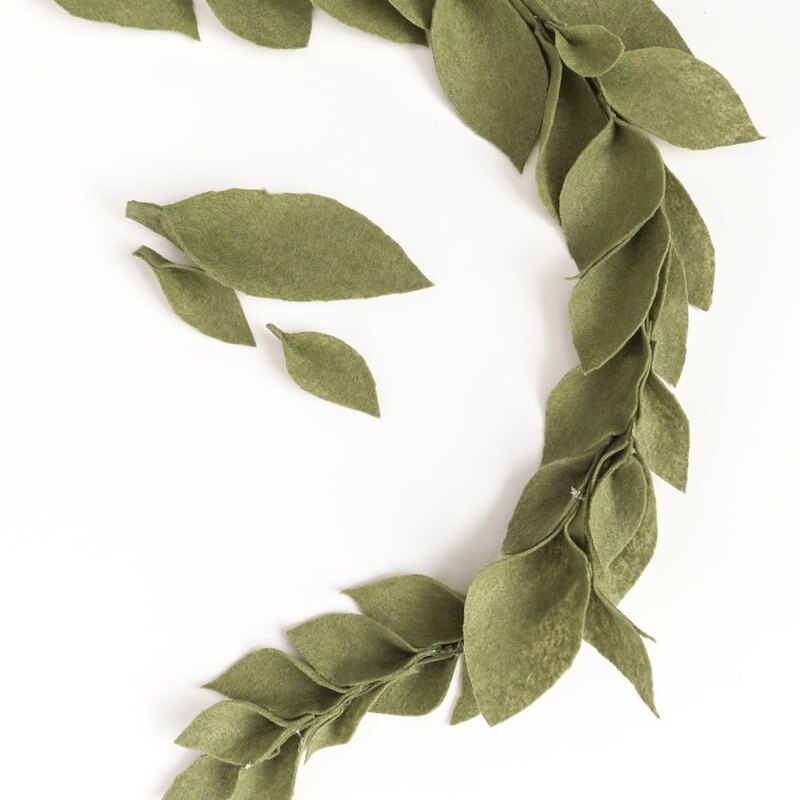 Gather your materials and get ready to craft a beautiful felt leaf garland. 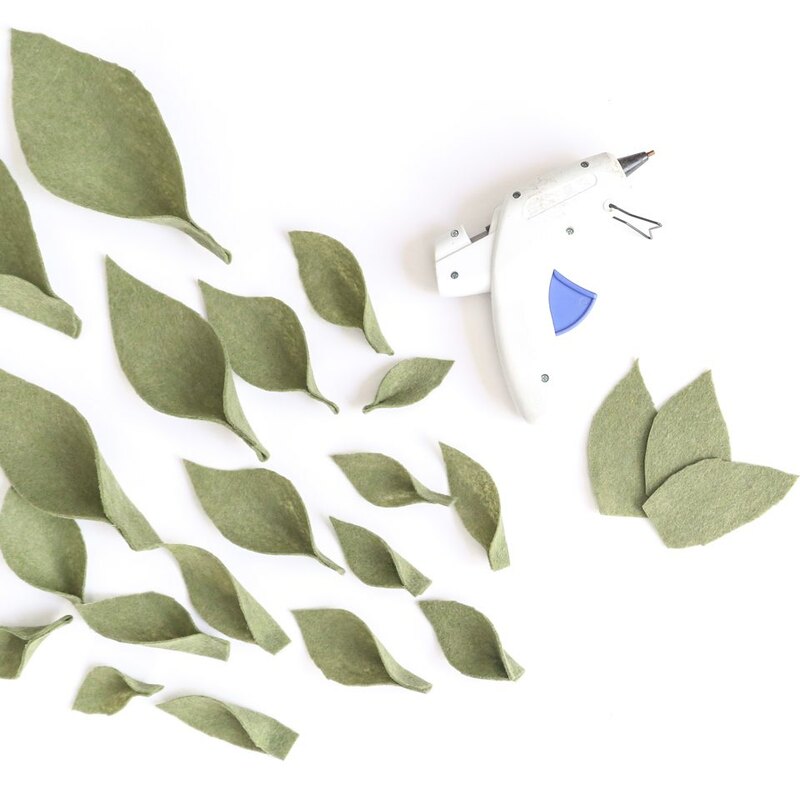 Cut your felt into various sized leaves ranging from small, medium, and large. There is no right or wrong shape. I cut a variety of designs. Also cut small strips about 1/2 inch wide. 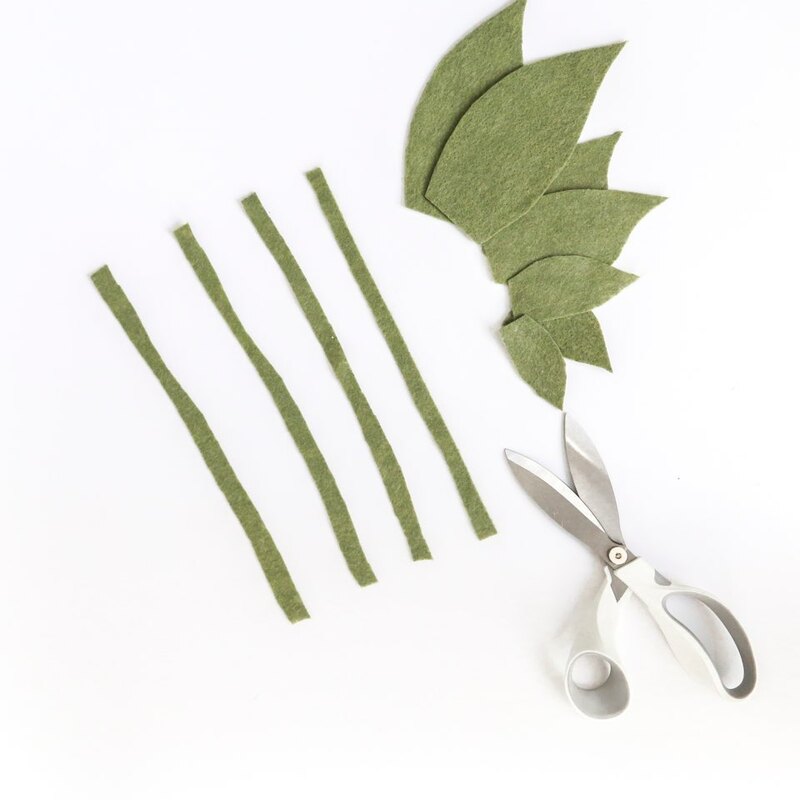 Cut enough strips to reach your desired length for the garland. 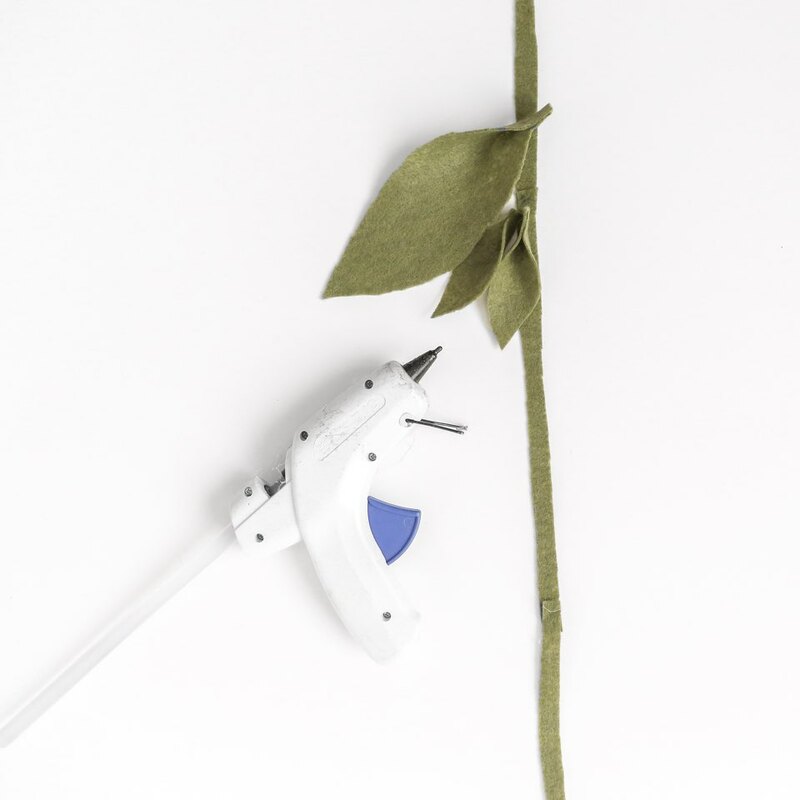 Make your leaves three dimensional by pinching the end together with hot glue. 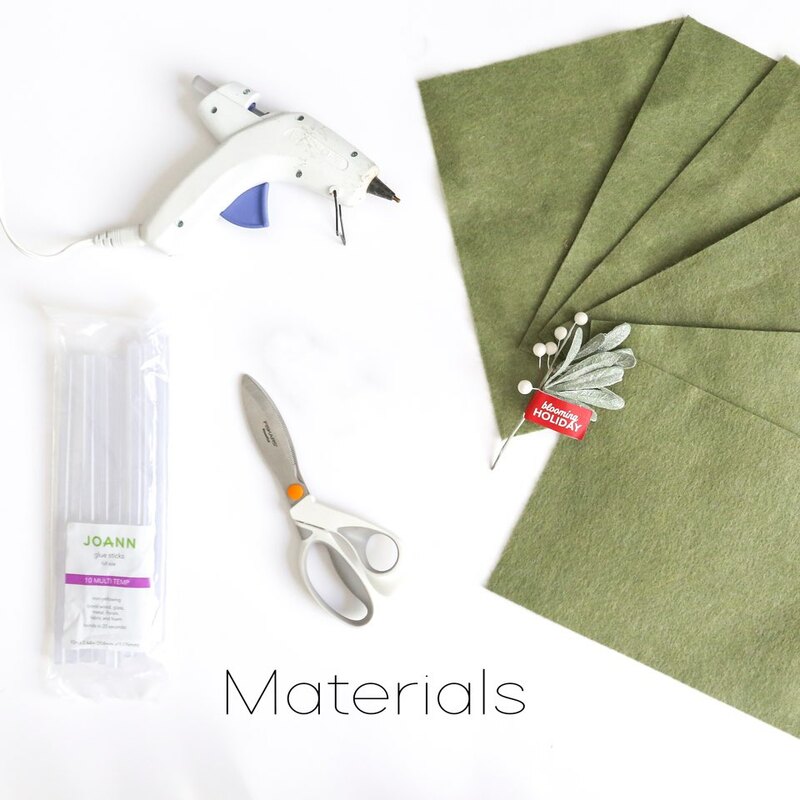 Begin attaching your leaves to the felt strip. You also want to hot glue the felt strips together at the ends. Keep layering leaves until you reach your desired fullness. Keep layering and filling in as needed. I tapered mine down at the ends with smaller leaves. 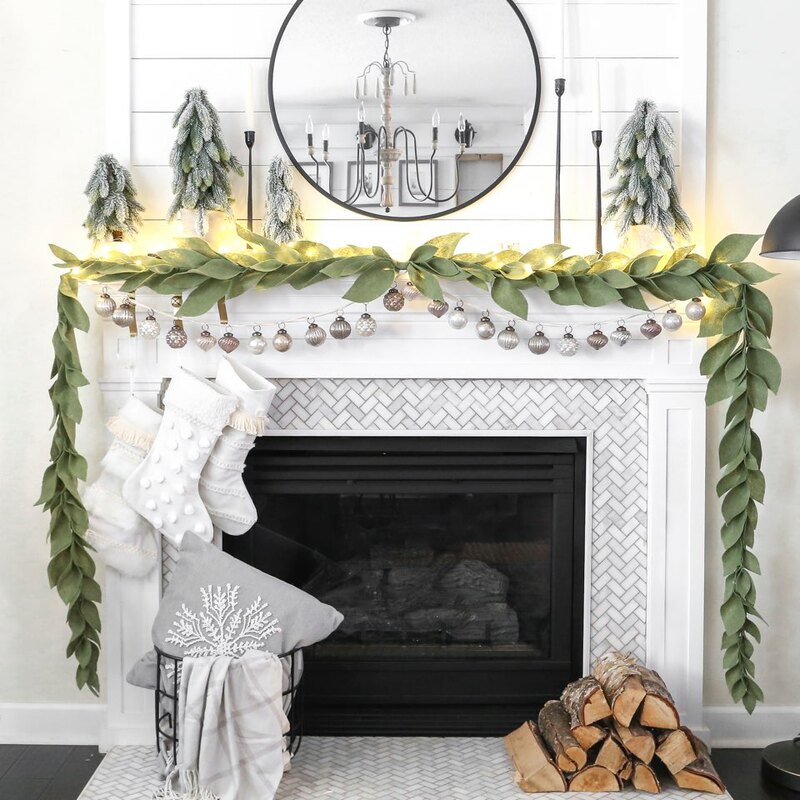 Place your garland along your mantel or anywhere that needs some fun whimsical Christmas decor!